Whomever says that wallowing too long in a capital city is a cardinal sin of travel, clearly never spent much time exploring Taipei. I’ll partially agree: On the surface the capital of Taiwan isn’t so different than other cities in East Asia. And, sure, even with all the exciting night markets and engaging Taipei attractions to check out, there’s only so much you can take before you crave something different. The magic of Taipei, however, lies not just in the city streets, but in all the places around it. The diversity of day trips from Taipei is enough to keep you busy for weeks! Even if you decide to stay in Taipei during most of your first trip to Taiwan, you’ll come to appreciate more of the country than you thought possible simply by hopping on a bus or a train for a short jaunt outside of the city. Only have one extra day in Taipei? Set your sights on Jiufen, one of the most popular side trips from Taipei. Jiufen is an old mountainous gold mining town in Northern Taiwan turned tourism tour-de-force. The town has ancient roots in the early Qing Dynasty, but it wasn’t until the Japanese rolled in to profit from newly-discovered gold that the town really powered forward. After WWII, Jiufen fell into hard times as gold mining dwindled. Come the 1970s, it was practically a ghost town. 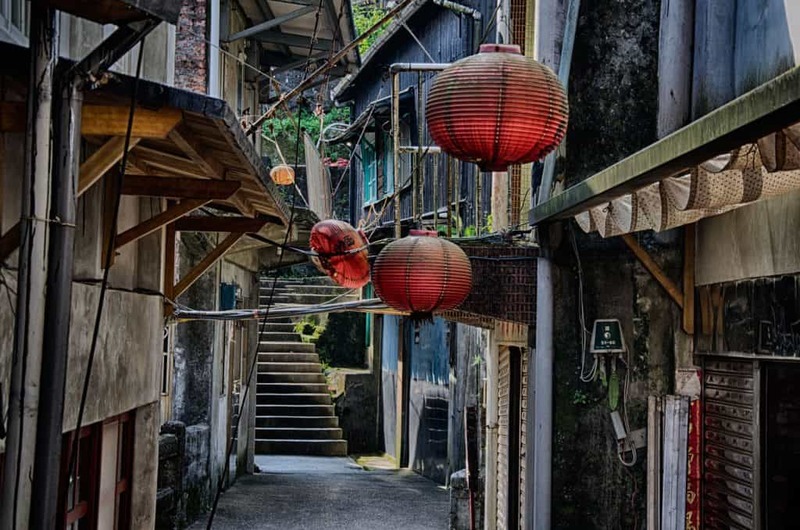 Jiufen remained that way until about 20 years ago when Taiwanese film director Hou Hsiao-hsien’s A City of Sadness brought the town into the limelight. Jiufen quickly capitalized on its burst of fame, and soon it swarmed with tourists, enchanted by its atmospheric alleyways, old Chinese tea houses and stunning ocean views. The tourism boom continues to this day. Finding space within Jiufen’s narrow winding streets is no easy task. It is, however, entirely worth the trouble. 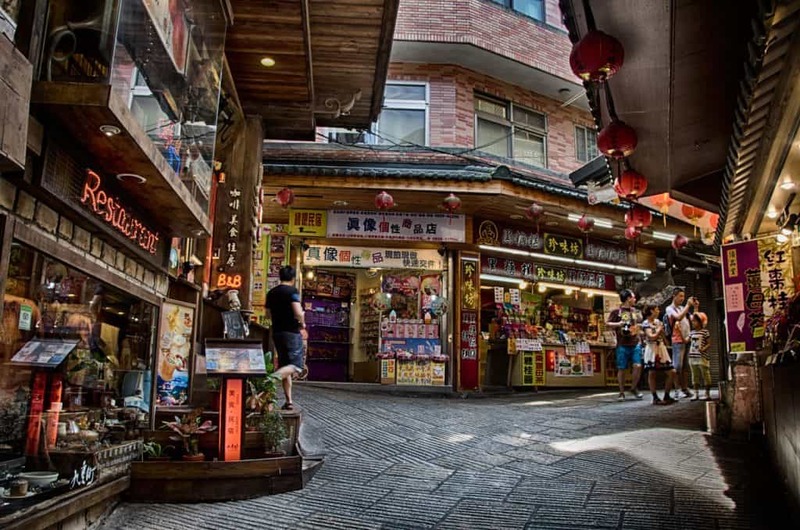 To get into the town centre, the easiest approach is via Jiufen Old Street (Jishan Street). You’ll find the entrance next to the 7-11 on the main highway to Keelung. Along and around Jiufen Old Street, you’ll never tire of the delicious selection of Taiwanese street food. Keep on the look out for local specialities like hot and cold taro balls, sticky rice cake and steamed taro cakes. Jiufen, Yehliu Geopark & Shifen Tour from Taipei: A value-laden small-group tour combing Jiufen and Jinguashi with the weird & wonderful Yehliu National Geopark and Shifen. Tour includes round-trip hotel transportation. Jiufen and Pingxi Day Tour: Experience the best of northern Taiwan including the lovely towns of Jiufen, Jinguashi, and Pingxi on this 8-hour full-day tour. Includes round-trip transportation from your Taipei accommodations. Private Day Trip to Jiufen: Visit the gold mining towns of Jiufen and Jinguashi as well as experiencing the coastal beauty of Yehliu Geopark on this full-day private tour. The simplest route to Jiufen is by bus from a stop just outside Zhongxiao Fuxing MRT Station. Take Exit 1 and look for bus 1062 (Keelung) to Jinguashi. You can also take the train to Ruifang, crossing the street for the Keelung Transit bus to Jiufen (15 minutes). Alternatively, hop on the train to Keelung and grab bus 788 from Keelung Bus Station. Combining Jiufen with towns along the Pingxi Branch Railway is another great way to make the most of your day. Check out this guide to travelling from Shifen to Jiufen to get an idea of how to do this route using public transportation. Often combined with a day trip to Jiufen and Keelung, Jinguashi is another vestige of Japanese occupation in Northern Taiwan. Compared with its neighbour Jiufen, Jinguashi is less crowded and more sombre. The town is infamously known as the former home of Kinkaseki, one of the grimmest Japanese POW camps in Taiwan. And reminders of this dark period of Taiwanese history seem to pop up everywhere in this small town. See Also: When is the Best Time to Visit Taipei? For a more subdued experience, wandering into Taiwan’s past in Jinguashi’s quiet old alleyways, lined with lanterns and winding through the hills, is a pleasant escape from the town’s darker moments. And if you catch yourself in Jinguashi in the early morning (as I did), you may feel as if you are the only tourist sauntering through the streets! Jiufen and Pingxi Day Tour: Fit in three of Northern Taiwan’s prettiest little towns—Jinguashi, Jiufen, and Pingxi—with this 8-hour full-day tour. Includes hotel pick-up & drop-off. Pingxi and Jiufen Day Trip from Taipei: Skip the hassles of public transportation by easily combining the lovely trifecta of Jinguashi, Jiufen, and Pingxi into one action-packed day. Also includes a visit to the spectacular Golden Waterfall. Private Day Trip to Jiufen: Combine the dual mining towns of Jinguashi & Jiufen with a visit to the bizarre coastal geo-formations of Yehliu Geopark on this full-day private tour. Follow the directions from Taipei to Jiufen. Jinguashi is the next town over, adding less than 10 minutes to the bus journey. Next to Jiufen and Jinguashi, Pingxi should be high priority for day-trippers. The claim to fame for this historic little town is the Pingxi Sky Lantern Festival, one of the biggest festivals of its kind in Taiwan. Pingxi Old Street is at the heart of any visit to the town. Along it you’ll find a multitude of souvenir shops and, of course, numerous stops to chow down on some Taiwanese food. Follow your nose to one of the sausage stalls (the more crowded, the better) to grab a delicious lunchtime snack. Even when the Pingxi Sky Lantern Festival isn’t rockin’, releasing lanterns is a popular activity in Pingxi. If you’re visiting as evening breaks, find yourself a lantern at one of the tourist shops and join in the fun! Shifen Old Street Walk and Pingxi Sky Lantern Tour: Combine your visit to Pingxi with beautiful Shifen on this 5-hour half-day tour. Includes a visit to the powerful Shifen Waterfall and an opportunity to release a sky lantern in Pingxi for good fortune. Jiufen & Pingxi Day Tour: Get “spirited away” on this 8-hour guided tour to Northern Taiwan’s three most famous mining towns. 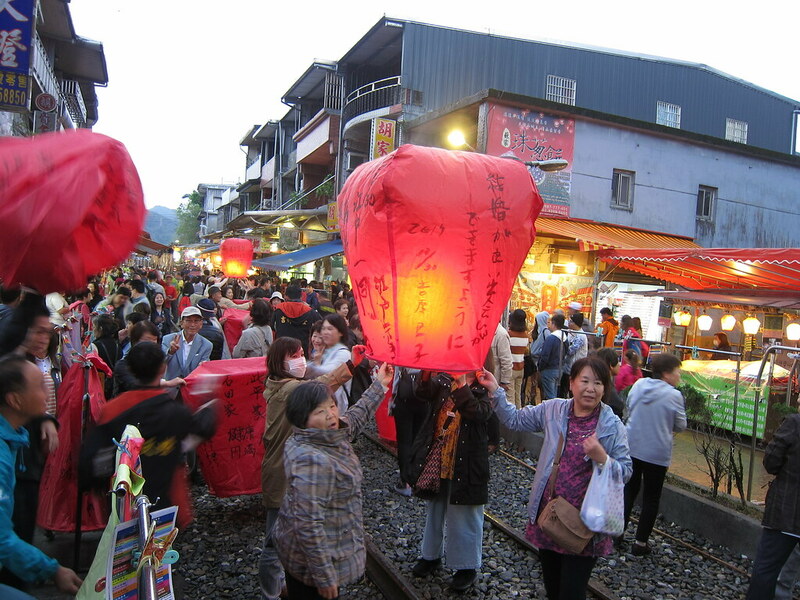 Visit the gold mines of Jinguashi and the ancient teahouses of Jiufen before experiencing the railside charms of Pingxi where good luck is just one sky lantern away. Full-Day Pingxi, Shifen & Jiufen Private Trip: Let the cityscapes of Taipei sink away as you slip into the countryside on this full-day private tour. Includes a stop at the mighty Shifen Waterfall, taro dessert at the elegant Ah Mei Tea House in Jiufen, and a sky lantern experience in Pingxi. From Taipei Main Station, grab any northbound train to Ruifang Station. Transfer at Ruifang to the Pingxi Branch Line. The trip from Ruifang to Pingxi Station is about 39 minutes. To ride the line, you’ll need to buy a one-day Pingxi Branch Rail Line pass (NT$54). You should be able to find it at most train stations in Northern Taiwan including Taipei and Ruifang. If you’re looking to please your adventurous side, test out your hiking boots on the Xiaozi Shan Hiking Trail. It’s hardly the world’s easiest hike, but breathing in the epic scenery will be enough to keep you fully engaged. 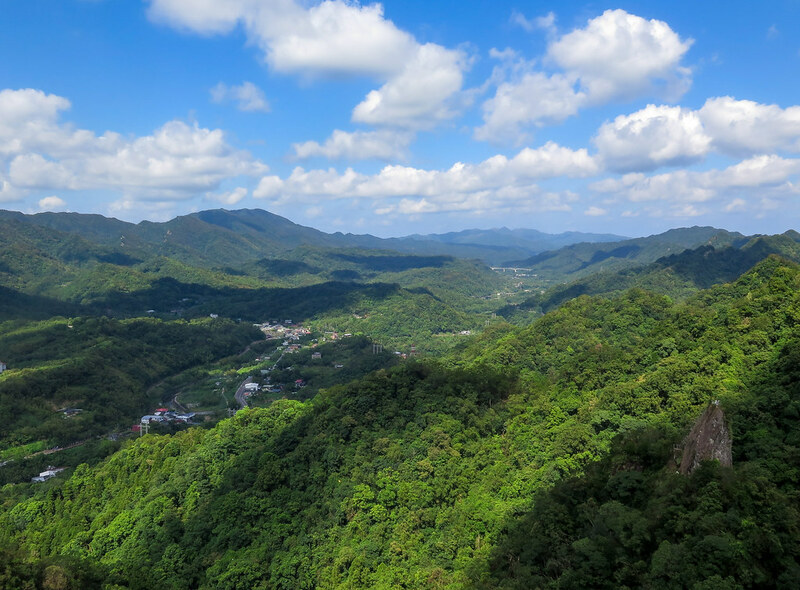 The Xiaozi Shan Hiking Trail is easily accessible from Pingxi, with the entrance sitting only a couple hundred metres from Pingxi Station. Unfortunately, from here it only gets tougher. Clambering through the Xiaozi Shan Hiking Trail is a strenuous affair requiring a decent level of physical fitness and a penchant for heights. The trail consists of steep stairs carved into the hillsides and aluminum ladders to claw your way up the peaks. It might turn your stomach, but if nothing else, it will be a hike you’ll never forget. Taipei Hiking Tour: A full-day hiking tour from Taipei trolling along two hiking trails including Sandiaoling Trail and Xiaozishan. From Pingxi Station, you can find the trailhead by walking across Pingxi Bridge, turning left, and crossing the Jilong River. The trail starts to your left. If you only have time for one hike along the Pingxi Branch Rail Line, consider hopping on Sandiaoling Waterfall Trail. It’s a pleasant alternative to the gravity-defying walks around Pingxi and worthwhile for experiencing some of the area’s most contagious scenery. Many hikers only follow the trail past the first three waterfalls: Hegu Falls, Motian Falls, and Pipa Dong Falls. All three are majestic and worth checking out. Continuing on from Pipa Dong Falls to Dahua Station is also option, adding about 4km to the trek. Some travellers choose to walk all the way to Shifen, but I wouldn’t recommend it as it involves illegally—and dangerously—walking through a railway tunnel. Don’t say I didn’t warn you! Taipei Hiking Tour: Escape the city on this full-day tour whisking along hiking trails in Sandiaoling and Pingxi among waterfalls, ridges, and tremendous views. Like Pingxi, Sandiaoling is accessible on the Pingxi Branch Rail Line. From Ruifang Station, Sandiaoling Station is the second station on the branch line. Exit here. To get to the trail from Sandiaoling Station, follow the tracks south, using the tunnel at the railway fork to cross under. Follow the train tracks for a couple minutes until you see the former elementary school. The well-posted trailhead will be to the right. The most popular destination along the historic Pingxi Branch Rail Line, Shifen, gives off a similar small town vibe as Pingxi. And while both towns are appealing and worth a visit, Shifen’s rail-side charms will grab your attention more forcefully out of the gate. While the old alleyways, restaurants, and shops of Shifen are a nice escape, the biggest treat for travellers might be Shifen Waterfall, about a 20-minute walk from town. 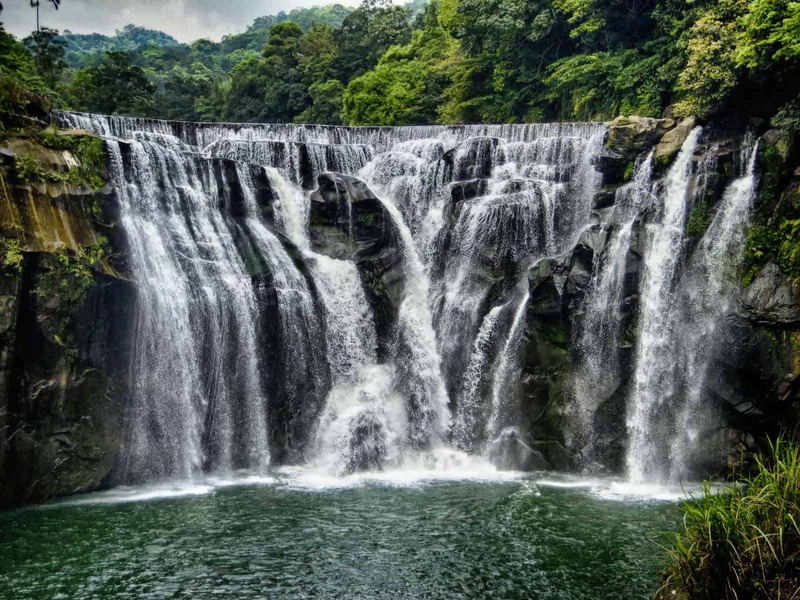 At 20m high and 40m wide, Shifen Waterfall is Taiwan’s widest waterfall. Despite the short trek to get there, don’t expect to have the views all to yourself. It’s an über-popular place with Taiwanese city dwellers! Shifen Old Street and Pingxi Sky Lantern Tour: Skip the hassle of scrambling on public transportation and book yourself onto this action-packed 5-hour guided tour. Includes visits to Shifen Old Street, Shifen Waterfall, and the historic village of Pingxi where you can release your very own sky lantern for good luck. Full-Day Pingxi, Shifen & Jiufen Private Trip: Experience three of the best day trips from Taipei all rolled into one on this complete full-day private tour where you’ll traipse through the natural & cultural beauty of Shifen, release a sky lantern in Pingxi, and sip tea in an age-old teahouse perched high above in the old mining town of Jiufen. Full-Day Trip to Jiufen, Yehliu, Shifen & More: Make the most your day on this scenic full-day tour of Northern Taiwan. Stops include the lovely railside town of Shifen, the weird seascapes of Yehliu Geopark, and the wonders of the twin mining towns of Jiufen and Jinguashi. Follow the directions above for Sandiaoling, but continue on to Shifen Station, two stations past Sandiaoling Station. Your one-day Pingxi Branch Rail Line pass is valid for travel to Shifen. Almost anywhere you travel in Taiwan, Chinese culture overshadows aboriginal Taiwanese culture. Not so in Wulai, where most of the residents belong the Atayal Tribe, an aboriginal group with Austronesian roots. It’s the closest aboriginal village to Taipei, so if you’re interested in having a glimpse of Taiwan before Chinese settlement, Wulai’s it. Discovering Atayal culture isn’t the only reason visitors pop into Wulai. The area is perhaps even more famous for its hot springs and natural attractions. In Wulai, you can hike through dense jungles alongside rivers, cliffs, and waterfalls. Ride the Wulai Scenic Train to the base of Wulai Falls, a 80m-high waterfall plunging into the river. The village itself isn’t much to behold. That’s not to say its not worthwhile to wander around. Wulai Old Street is different than most other old streets in Taiwan. Souvenir shops and food stalls here reflect the Atayal culture. Instead of kitschy mass-produced souvenirs, you’ll find original aboriginal handcrafts. The food on Wulai Old Street is also tinged with aboriginal influences. Don’t miss tasting the wild boar sausages and steamed sticky rice cake with peanuts! Taipei in a Day Private Custom Tour: Customize your itinerary on this private full-day tour. Options could include a visit to the Wulai Aboriginal Village and hot springs. Free hotel pick-up & drop-off in Taipei is included in tour price. Hop on the Taipei MRT and travel to Xindian MRT Station. Outside the station near the tourism information centre, there will be a bus stop. Snag a ride on bus 849 (departing every 10-15 minutes) and get off at the final stop. 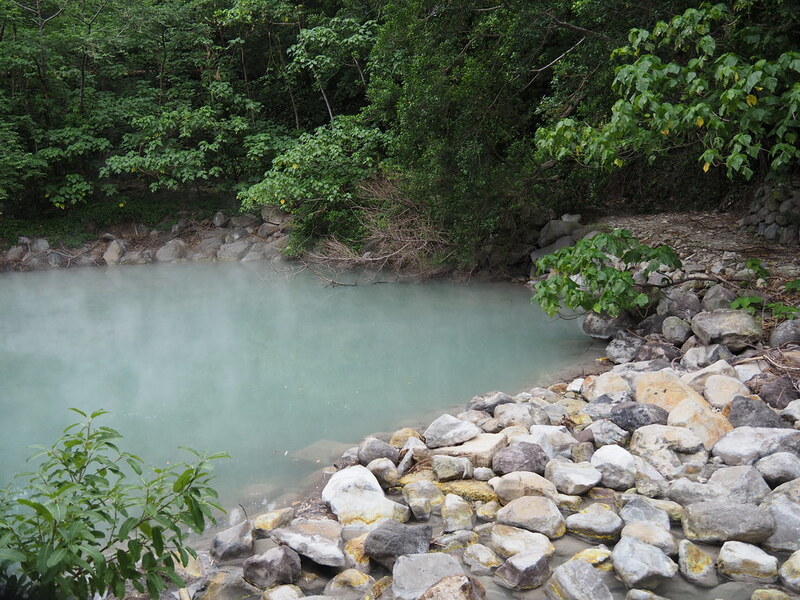 If you’re looking to soak your troubles away, Beitou may be an even wiser choice than Wulai for your first Taiwanese hot springs experience. The reason is simply convenience: Beitou is about as easy as Taipei day trips get. Of all the sights in Beitou, the most intriguing is Geothermal Valley. This weird little slice of Taiwanese nature earned itself the moniker Hell Valley for the endless steam that rises from the jade waters. As its nickname hints, you’ll need to look elsewhere if you want to take a soak. The waters here are near boiling point and a tad more acidic than would be recommended. You didn’t just come here to look, did you? 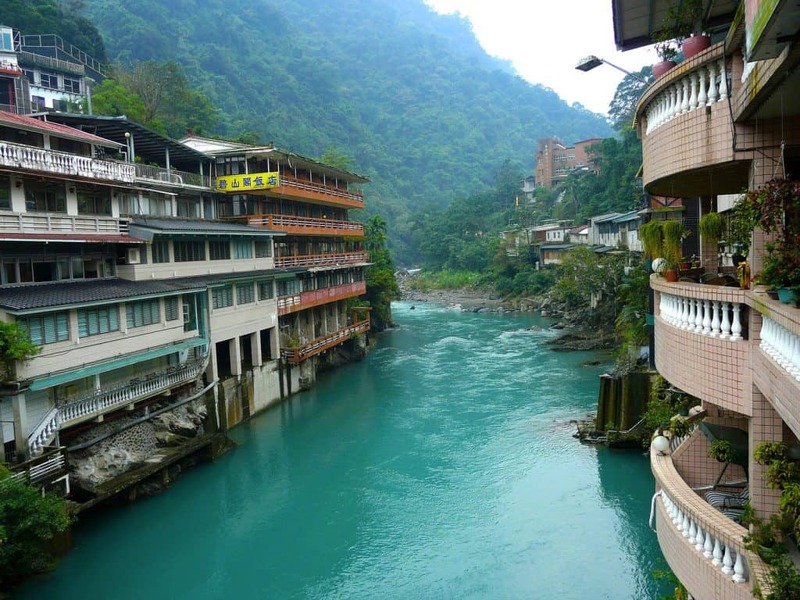 With some cash in hand, you could grab that first Taiwanese hot springs experience by splurging on one of the many private spas that dot the river. For the otherwise frugal among us, file into line at Millennium Hot Spring, the most popular public hot springs in Beitou. Yangmingshan National Park and Hot Springs Tour: Combine a relaxing visit to Beitou Hot Springs with the volcanic wonders of Yangmingshan National Park on this half-day tour. Don’t forget your bathing suit! Taipei in a Day Custom Tour: Stuff more sightseeing into your day with this private custom full-day tour. Options include a morning city tour followed by a soak in Beitou Hot Springs and a visit to Tamsui. Beitou Hot Springs and National Palace Museum Private Tour: Let the healing powers of Beitou Hot Springs relax and the National Palace Museum enthrall you on this full-day private tour. Includes the option for a 9-course Taiwanese meal at the Silks Palace Restaurant. This is a quick and easy one. Hop onto the Taipei MRT and head north on the Red Line to Beitou MRT Station. Switch platforms to the Xinbeitou Branch Line, moving along one more stop to Xinbeitou MRT Station. The total trip from Taipei Main Station should take no more than 45 minutes total. Listing Tamsui as a side excursion from Taipei may be a little misleading. It probably won’t take a full day to see what you want to see here. Nonetheless, if you’ve got a few hours to spare, it’s worth slinking up to Tamsui to escape Taipei, even if you’re unable to escape the crowds. Walking along the Tamsui River on the town’s famous Tamsui Old Street is how you’ll probably want to start your journey. This riverside road is famous with local visitors and families for its carnival-like atmosphere and tasty Taiwanese treats. Be sure to get your hands on the local Tamsui speciality, a-gei, a concoction of glass noodles and fried tofu. If you’re travelling as a couple, hopping on the ferry from the end of Tamsui Old Street to Fisherman’s Wharf is a practically required detour. Lover’s Bridge, a famous landmark for young couples, draws huge crowds to soak in the sunset. Timing your visit to Fisherman’s Wharf around this time isn’t a bad idea, as it’s a great place to grab a quick Taiwanese seafood snack. Taipei in a Day Private Custom Tour: Spend your day doing exactly what you want on this awesome full-day tour. Possible options include stops at both the amazing Beitou Hot Springs and Tamsui. From Taipei Main Station you’ll need to head north on the Taipei MRT Red Line. Tamsui Station is the terminus of the line, about 40 minutes away from the city centre. Hikers rejoice! Yangmingshan National Park must surely be one of the world’s easiest escapes into nature from a city. Within about an hour you can slip into from the hustle of Taiwan’s capital into the peaceful mountain air of Yangmingshan. Unlike testing your vertical limits in Pingxi, hiking in Yangmingshan National Park is not overly difficult. The popularity and proximity to Taipei means that Yangmingshan’s hiking trails are clean and well-maintained, even if slippery at times! 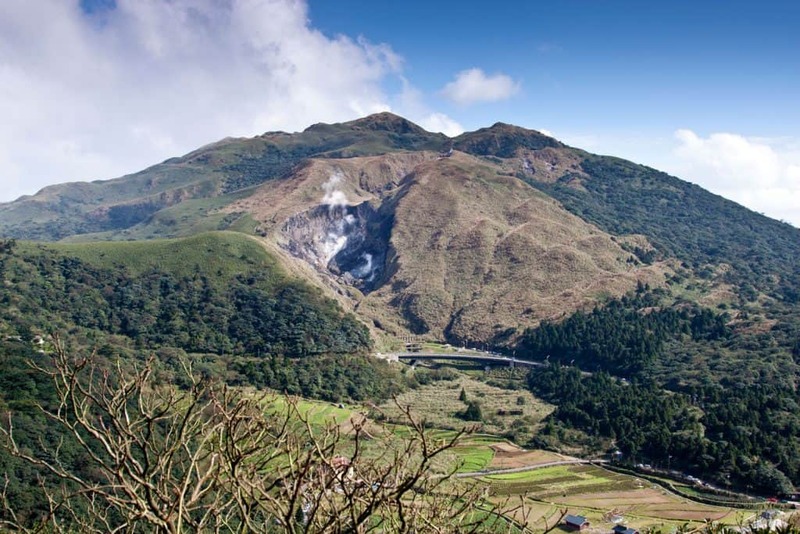 As a day trip from Taipei, the most accessible hike is from the Yangmingshan National Park Visitor Centre to the peak of Qixing Mountain, about a 2.5km walk. The peak is about half way to to Xiaoyoukeng where you can marvel at fumaroles puffing sulphur into the air. From Xiaoyoukeng, you can either continue to walk back towards the visitor centre or grab a bus back to Taipei City. Yangmingshan National Park and Hot Springs Tour: Combine a short visit to the volcanic areas of Yangmingshan National Park with a relaxing dip in the hot springs at Beitou on this half-day tour. Includes hotel pick-up and drop-off. Taipei Sunrise Excursion: Enjoy a glorious sunrise at Yangmingshan on this amazing half-day morning tour. On a hike through the park, visit Yangmingshan’s natural sulfur area, Xiaoyoukeng Recreation Area & the lava terrace of Qingtiangang followed by an authentic Taiwanese breakfast at Yong He Soy-milk King. Yangmingshan National Park Private Tour: Go deeper into Yangmingshan National Park with this full-day private tour including visits to Xiaoyoukeng, Qingtiangang Meadow, and the breathtaking Bamboo Lake. The quickest route is to take the MRT to Jiantan Station. Head outside and grab bus R5, leaving every 15 minutes. Alternatively, you can hop on bus 260 outside of Taipei Main Station for a more direct, but longer, route to Yangmingshan National Park. If you’re trying to leave behind the big city vibe, Keelung might not be the outing you’d hoped for. But it is one of the quickest and easiest side trips from Taipei. Don’t discount it just yet! It’s hard to describe Keelung as a “must-see” destination in Taiwan. 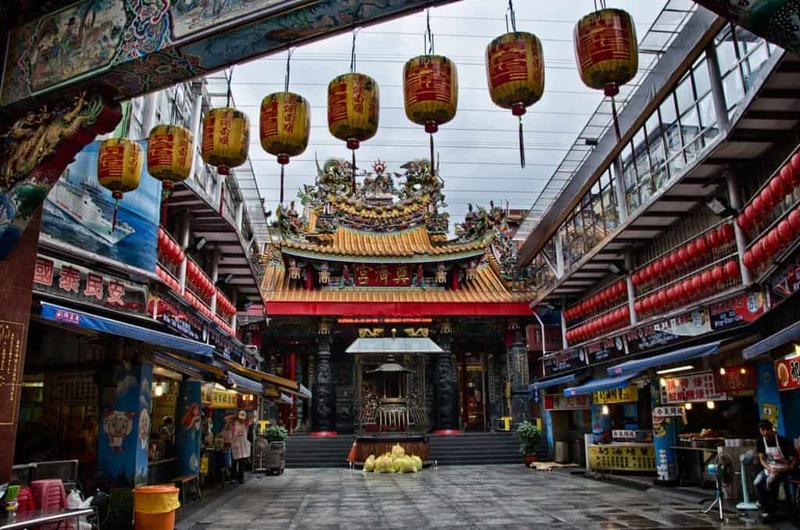 Most visitors simply sneak a peak at Keelung on their way back from Jiufen and Jinguashi, timing their visit with the opening of Miaokou Night Market. Some powers-that-be named Miaokou Night Market one of the two best night markets in Taiwan for food. And knowing Taiwan’s affliction with street food, that means something. If you happen to slip into Miaokou Night Market, look for the thick crab soup near the main entrance. It’s might be one of the best dishes you’ll try in Taiwan! Besides Miaokou Night Market, Zhongzheng Park is an amusing little distraction from an otherwise subdued Keelung. Climb up to the park for incredible views over the city and a dash of whimsical statues that can’t help but put a smile on your face. Discover the North Coast of Taiwan Day Tour: Visit Keelung and rocky northern coast of Taiwan on this 8-hour full-day tour from Taipei. After visiting the bizarre Yehliu Geopark, top off your day with a guided visit to Keelung’s Miaokou Night Market to sample its delicious seafood. Private Northern Taiwan Coast Tour: Explore Taiwan’s incredible northern coast on this full-day private tour. Includes a morning visit to Yehliu Geopark, a seafood lunch in the fishing village of Guihou, and an evening of sampling of food at Miaokow Night Market in Keelung. Northern Coast Tour including Yehliu Park: A half-day tour that explores the mysterious rock formations of Yehliu Geopark and the kitschy statues & epic views of Zhongzheng Park in Keelung. From Taipei Main Station there are plenty of local trains bound for Keelung all day long. The trip is less than an hour and costs NT$41. Pumped to tackle these side trips? Among the best places to stay in Taipei for day-trippers is Zhongzheng and Ximending, two areas set in a prime location for exploring the outskirts of the city. Roaders Hotel: A wholly-unique modern hotel near Ximending taking its design cues from the Great American Road Trip. Via Hotel Taipei Station: A simple 3-star hotel with superbly clean modern rooms located just minutes from Taipei Main Station. Cosmos Hotel Taipei: A lovely 4-star mid-range hotel boasting elegant rooms in a location close to both Taipei Main Station and Ximending that can’t be beat. PALAIS de Chine Hotel: One of the best Taipei luxury hotels, this 5-star gem loads up on class & sophistication—inside and out. Tastebuds in an uproar? 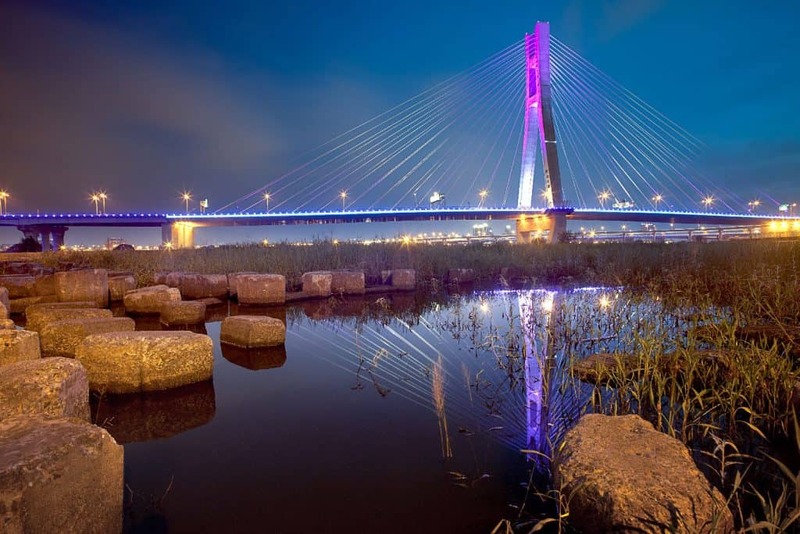 Devour the evening delights of Miaokou Night Market in Keelung or the famous riverside treats of Tamsui Old Street in Tamsui for a taste extravaganza you won’t soon forget. Looking for a little chillin’ and illin’? Head up to Beitou and soak in the area’s famous hot springs to unwind from the throes of Taiwanese city life. Craving some unbridled nature? 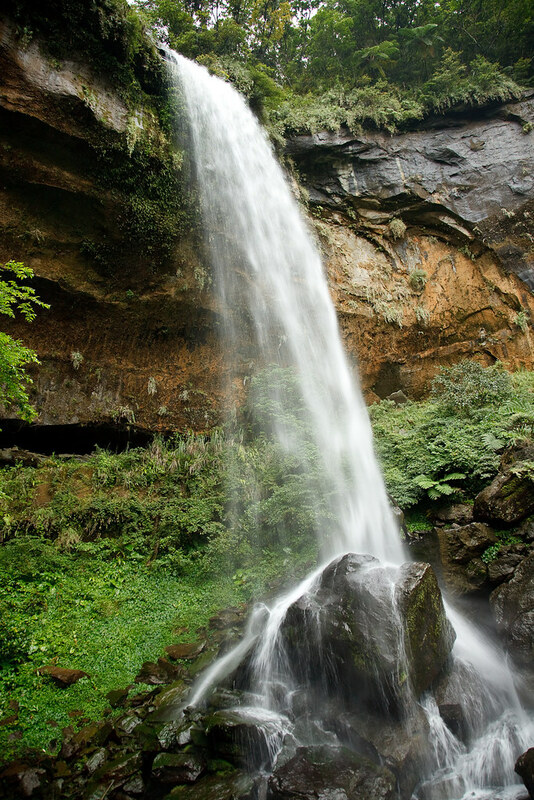 Lace up your hiking shoes and hit up the Sandiaoling Waterfall Trail, Xiaozi Shan Hiking Trail, or Yangmingshan National Park for a dash of fresh air.